Cammax are delighted to announce the launch of a brand new ITSO SMART Ticketing initiative with one of the biggest public transport authorities in the UK. Swift Kiosk is a new initiative, launched in partnership with Cammax, as part of a six-month pilot project to gage customer demand for self-service retail points in the West Midlands region. Transport for West Midlands (TfWM) is the public body responsible for transport infrastructure and the co-ordination of public transport in the West Midlands and It’s an executive body of the West Midlands Combined Authority (WMCA). TFWM already offers retail of cards and top-ups via Travel Shops, a network of Payzone agents, and the Swift website, but following recent efforts to refresh the Swift brand, TFWM were also looking to explore new innovative products and features that could potentially enhance the customer experience. 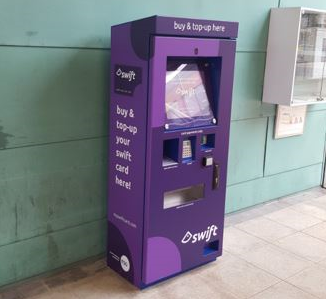 The first Swift kiosk was launched in April this year at Wolverhampton bus station with the pilot expected to run into the Autumn. So far public reaction to the new kiosks has been positive but further customer feedback will help to set out the best long-term solution when considering further roll out. The products can either be topped-up to an existing card or issued on a new card. The Kiosk can also act as a Swift Collector, allowing customers to load any product and credit purchased online to their cards. This functionality can also be carried out with the Swift App and a network of more than 100 Click & Collect sites. As well as making it easier and convenient for passengers to pay for their travel, it is also hoped that the project will speed up boarding times and reduce queues on the region’s busy transport network. Uniquely, The Swift Kiosk is the first ITSO ticket vending machine in the country with a photo-capture feature. A photo can be taken and printed on a pre-encoded photocard in just over a minute in a move that has captured the imagination of passengers. According to the latest information from ITSO, Customer take-up continues to grow with just under 3.5 million usages each month and more than 170,000 unique cards used across the network in the last 12 months. In total one in every three public transport journeys in the West Midlands is now being made using an ITSO smartcard – either Swift or an English National Concessionary Travel card. “With further great new tickets and functions being introduced, we have taken the opportunity to update and refresh the brand design to ensure that, in keeping with the new solutions that we continue to rollout, it remains at the cutting edge.” He added. 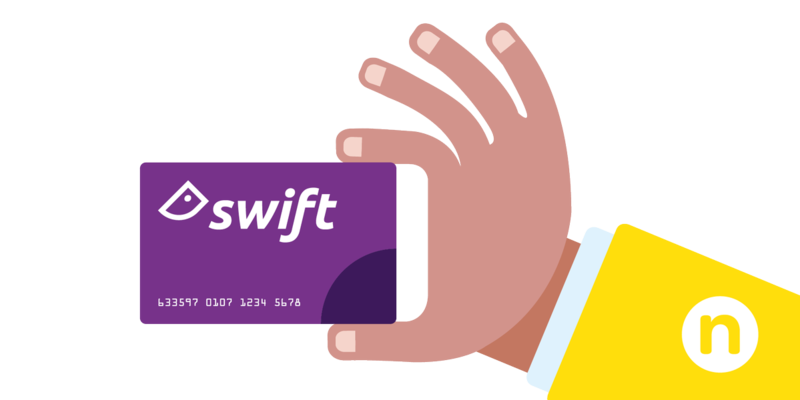 Swift is constantly evolving as TFWM continues to work on enhancing smart ticketing to support better connectivity across the wider Midlands region. Planning is already well underway to determine what can be delivered over the next decade which includes contactless payments, capping on both contactless and Swift cards, and mobile ticketing. As for Cammax, the TFWM Swift initiative is the latest in a long line of SMART Ticketing projects that have proved to be extremely successful. Last year Cammax worked closely with City of York Council to deploy ITSO Outdoor SMART Ticketing kiosks and Cammax also helped to bring quicker and more efficient travel to Nottinghamshire passengers after partnering with Nottingham City Council to roll-out similar kiosks. Cammax will continue to pioneer SMART Ticketing technology and looks forward to developing more successful partnerships with other transport and local authority bodies in the years to come.